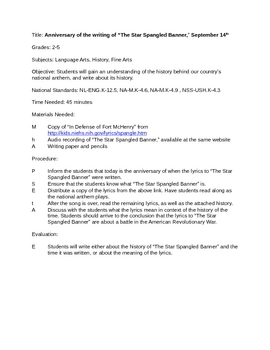 This is a writing activity to celebrate the anniversary of the writing of "The Star Spangled Banner" on September 14th. Students will engage in writing and listen to the national anthem while analyzing the lyrics! This lesson is part of my holiday writing activities; one for every day of the year!